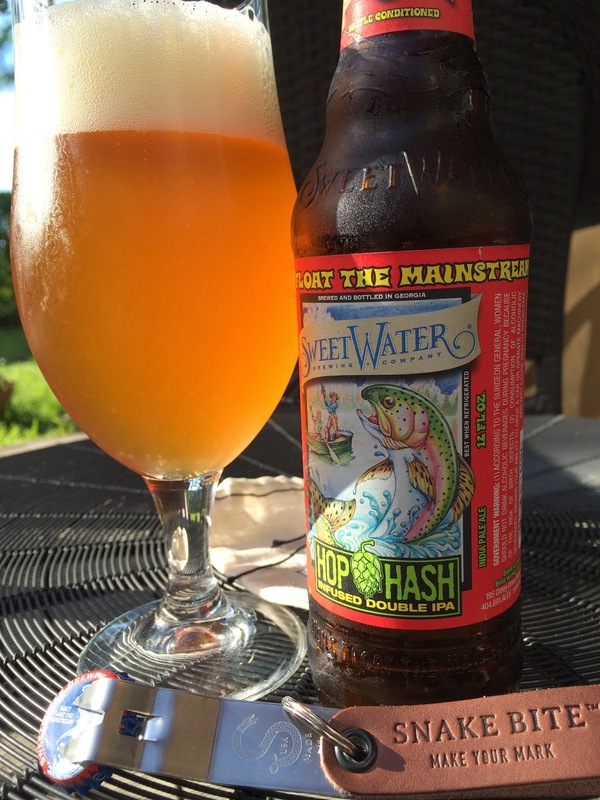 So Freddy at SweetWater named a beer Hop Hash, huh? There's a surprise! But it's not exactly what you think. 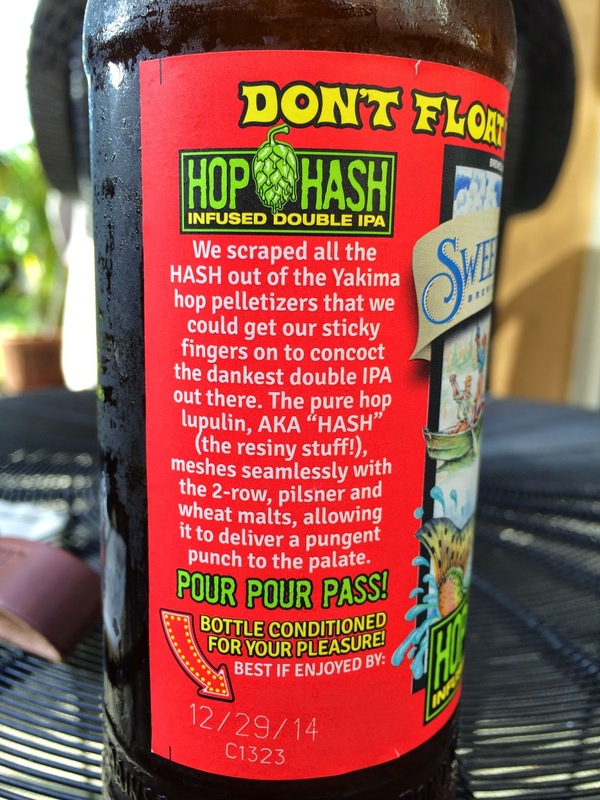 The Hash here is the hops they scraped from their pelletizers, used to try to make "the dankest double IPA out there." Bottle conditioned, with plenty of floaties to prove it. Whatever, I like them. They are my friends. 7.8% alcohol. Best if enjoyed by 12/29/14. I decided this was the perfect beer to crack open with my new bottle opener: The Original Snake Bite Forked Church Key and Bottle Opener. This is a Kickstarter project that was funded in only 30 hours. 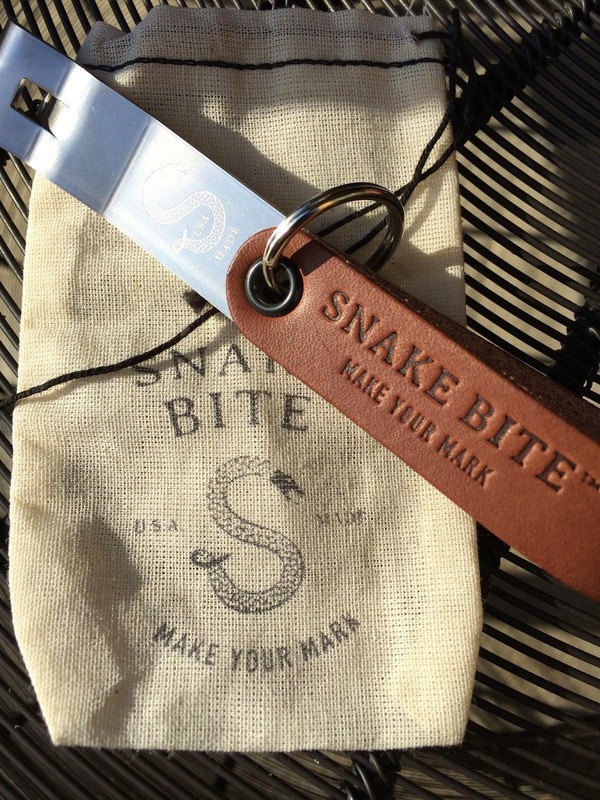 Both the church key opener and the leather sheath (an awesome touch) are made in the USA from domestically-sourced products. I thought it was going to be bigger--not sure why. But the smaller sized and extremely lightweight and durable tool was perfect. Easy to take everywhere! Beautiful aroma full of citrus, sweet orange and tropical fruits. Sweet tangerine flavor is delicious, first sip and every one that followed. But holy cow, those flavors are followed by a wallop of dank, hoppy goodness and a forest of spicy, bitter pine. Repeat. Juicy, tropical, fruity, super fresh and just terrific flavors that play off of each other. Carbonation is good, a little prickly. A little alcohol dryness shows through at the finish. Great! I'll be back for the full six pack next time!